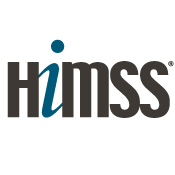 This webinar will focus on asks two and three from the HIMSS Virtual March on the States advocating for using existing federal funding streams and flexibility for prescription drug monitoring program (PDMP) integration into EHRs and leveraging telehealth to increase access to high quality treatment for substance use disorders. These recommendations were highlighted in CMS’ June 2018 letter. The integration of the PDMP into the EHR aims to reduce clinician burden and improve usage of the PDMP and telehealth aims to improve access to treatment for substance use disorders. Governor Jim Douglas served Vermont for more than 35 years as a legislator, Secretary of State, State Treasurer and Governor. He advanced groundbreaking health reforms that have made Vermont a national model. Douglas chaired the National Governors Association and President Obama appointed him co-chair of the Council of Governors. He now teaches at Middlebury College, his alma mater. He serves on several corporate boards and on the Governor’s Advisory Council of the Bipartisan Policy Center. Melissa currently serves as the Health Information Technology Specialist for the RI Executive Office of Health and Human Services on HIT projects within the Rhode Island State Innovation Model grant and the Medicaid HITECH IAPD. She has worked for the State of Rhode Island since 2014 where she started as the RI Department of Health’s Public Health Informatics Coordinator. Melissa holds a Master of Public Administration from Northeastern University. Thomas Novak is the Medicaid Interoperability lead in the Office of Policy at ONC where he supports the advancement of Medicaid interoperability in the drafting and review of federal regulations. He is detailed part time to the CMS Medicaid Data and Systems Group where he provides direct support to State Medicaid agencies and state governments on Health Information Exchange funding and strategy. What Do Consumers Really Want from Personal Health IT?